Genquip can arrange delivery (if requested) to all areas at a cost to the customer. Delivery of products from dispatch usually takes between 1 and 5 working days however Genquip can not guarantee such delivery time. The customer is at liberty to pick up the goods from the Genquip Warehouse. The customer may arrange for their own courier to pickup the goods from the Genquip Warehouse.If the customer chooses to do this, the customer will bear the cost of the courier. Star Track Express are the exclusive shipping provider for Genquip and their shipping charges are determined by distance travelled, weight and volume. Delivery charges are calculated manually and are not included in the prices issued on the Genquip website. Delivery charges will be billed separately. The shipping address details will be sent via email for confirmation after you have purchased an item. Once you have confirmed the shipping address the cost of shipping will be calculated. You will then be required to approve the total price (including the cost of shipping) before you provide your preferred method of payment. Genquip will not be responsible for items that are incorrectly addressed. Should you believe within a reasonable period of time from the date of purchase (usually 30 days unless otherwise stated) that the product you purchase does not correspond with the description of the product or is not of merchantable quality, you should contact us immediately to obtain a Return Authorization (RA) Number. Your original proof of purchase will be required. The customer is entitled to all the rights and warranties implied by the Trade Practices Act 1974, provided that, to the extent that the Trade Practices Act 1974 permits Genquip to limit its liability for a breach of any such right or warranty, then Genquip’s liability for such breach, including any consequential loss which the customer may sustain or incur, will be limited to a credit of the original purchase price of the product. 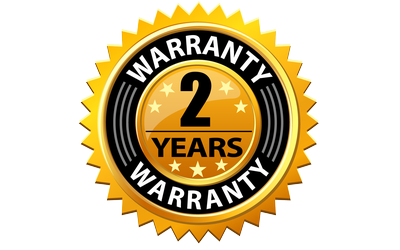 Should you believe the product you purchase becomes faulty during the warranty period (12 months from the date of purchase, unless otherwise specified), you should contact us immediately to ascertain whether the product is actually faulty. If a resolution to the problem cannot be determined, you will be issued with a Return Authorization (RA) Number. Your original proof of purchase will be required. The customer is entitled to all the rights and warranties implied by the Trade Practices Act 1974, provided that, to the extent that the Trade Practices Act 1974 permits Genquip to limit its liability for a breach of any such right or warranty, then Genquip’s liability for such breach, including any consequential loss which the customer may sustain or incur, will be limited to, at Genquip’s option, repair of the product, replacement of the product or, should a replacement be unavailable, a credit of the original purchase price of the product. The customer will be responsible for all transportation costs associated with the return of the product to Genquip, although Genquip will assist the customer at its discretion to organise the transportation in the quickest and cheapest way possible. Where a product is returned because it does not correspond with the description of the product or is not of merchantable quality, Genquip will credit the transportation costs of returning the product to Genquip.